StrikoMelter melting furnaces as far as the eye can see: the StrikoWestofen Group (Gummersbach) is currently installing the eleventh system on the premises of the internationally renowned aluminium die caster CastAlum (Welshpool, Wales). Ever since the company was founded in the year 2000, this Welsh automotive supplier has relied on the efficient melting furnace technology of StrikoWestofen. 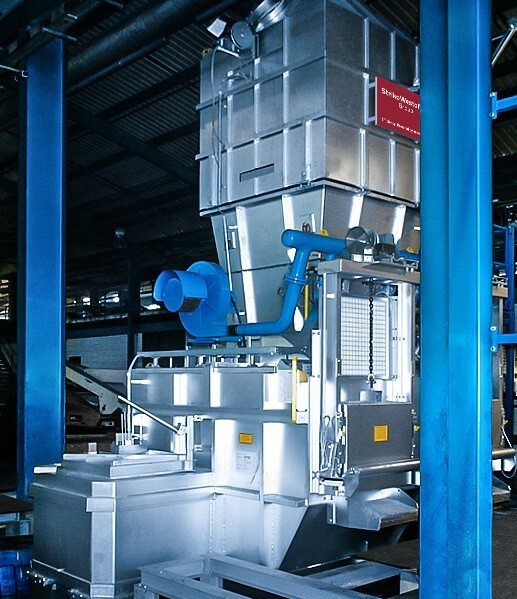 “Material yield, energy consumption and the excellent quality of the melt convinced us right from the start,” explains Keith Brown, Managing Director of CastAlum. “That is why it seemed natural for us to resort to these tried-and-tested systems when it came to expanding our capacities.” He also explained that additional expansions (and with them more orders for StrikoWestofen) are planned for 2015. The Welsh automotive supplier CastAlum can look back on quite a success story: founded with only one customer in the winter of 2000, the company has now become an internationally sought-after manufacturer of castings for the automotive industry with customers in Europe, Canada, Mexico and the Far East. Ever since the very beginning, the company has relied on the melting furnace technologies of StrikoWestofen from Gummersbach. StrikoWestofen is currently installing the in total eleventh StrikoMelter at Welshpool. Each of the fully automatic casting cells has a melting furnace of its own, and the capacity and the volume of liquid aluminium kept at the ready are perfectly adapted to meet the requirements. “The existing StrikoMelter furnaces at CastAlum melt not only ingots as well as production returns. The strategic structure of the system with individual casting cells ensures that it is always the same aluminium quality and alloy that is being handled,” says John, explaining another special technical feature at CastAlum. Further details are available from the StrikoWestofen Group in Gummersbach, Tel. : +49 2261-70910.